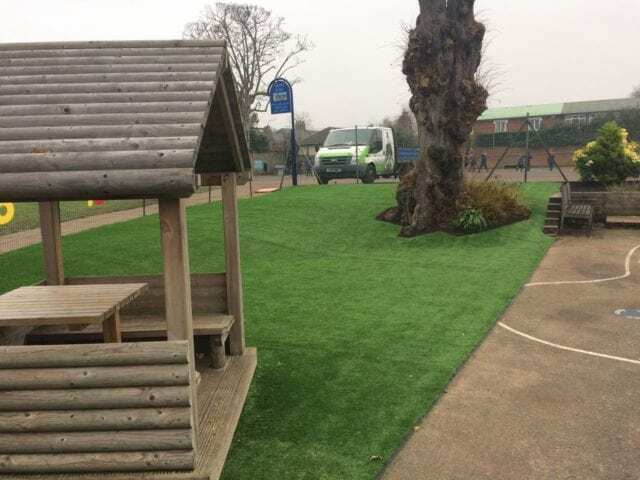 This Catholic Primary School fake grass installation in London looks fantastic, with 114sqm of Trulawn Supreme installed! 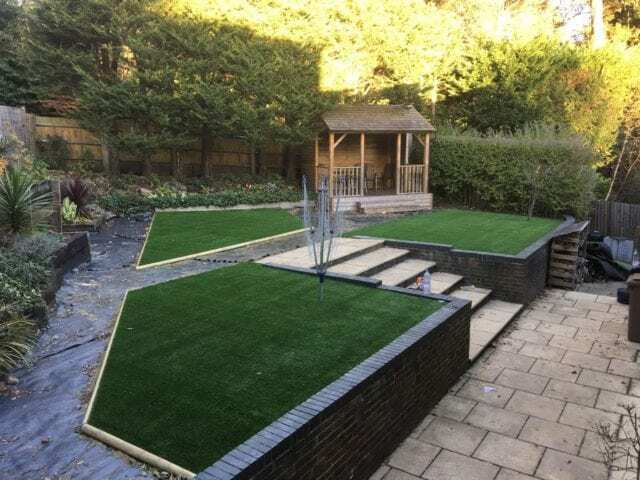 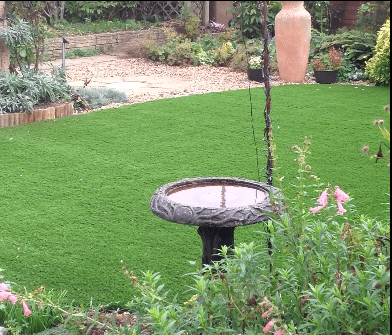 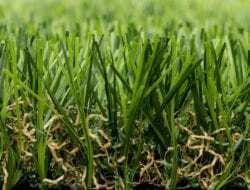 There are a number of different elements to the installation which you may not notice on first looking and includes installation around a tree, sloping and a lay only as well as rubber edging. 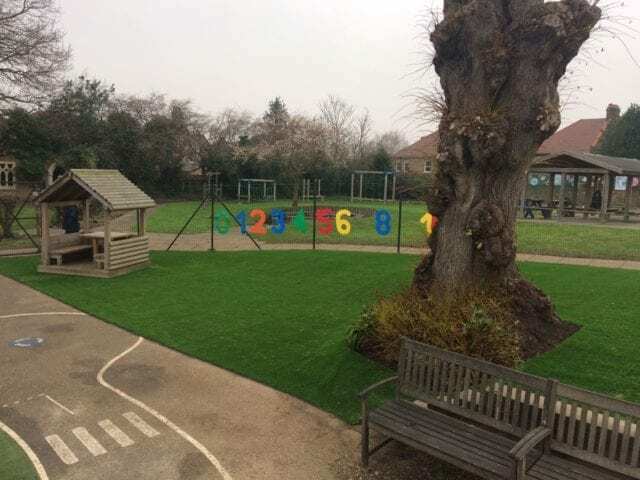 This is an interesting installation because it involves crossing different surfaces, with the slope leading down to a playground surface. 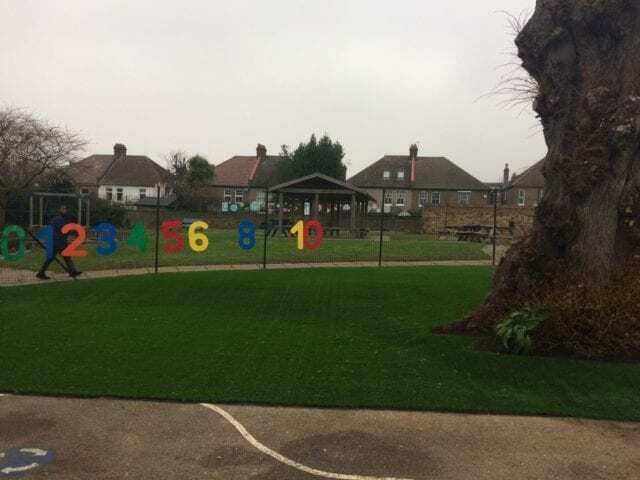 The side of the grass facing outwards has been fitted with rubber edging to help prevent a trip hazard as the children cross from the playround to the grass. 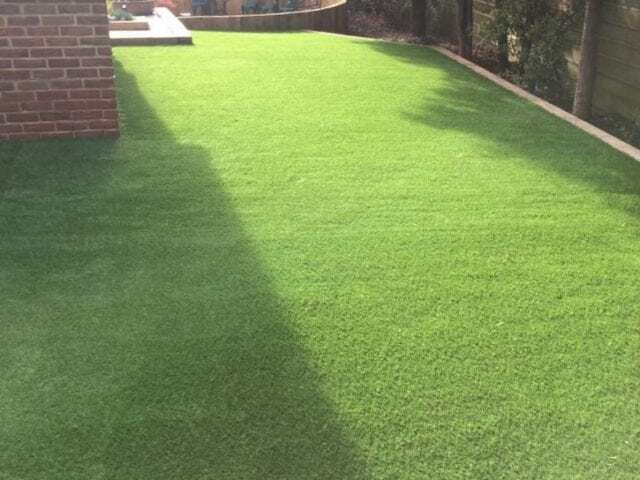 Our team has also fit around a tree by using timber edging to zig-zag around the roots. 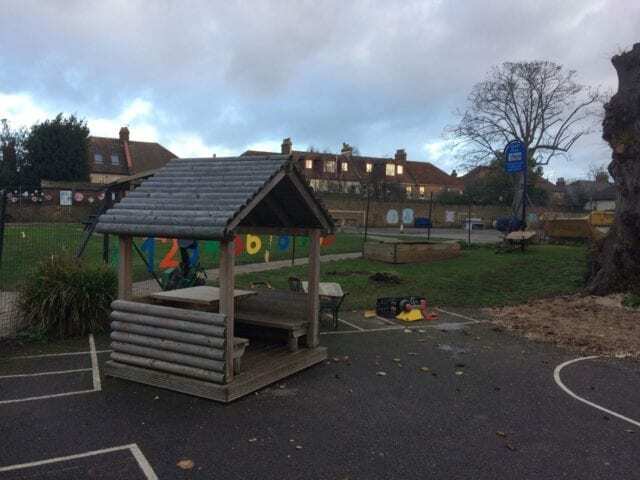 As you can see it is a marked improvement to how it was! 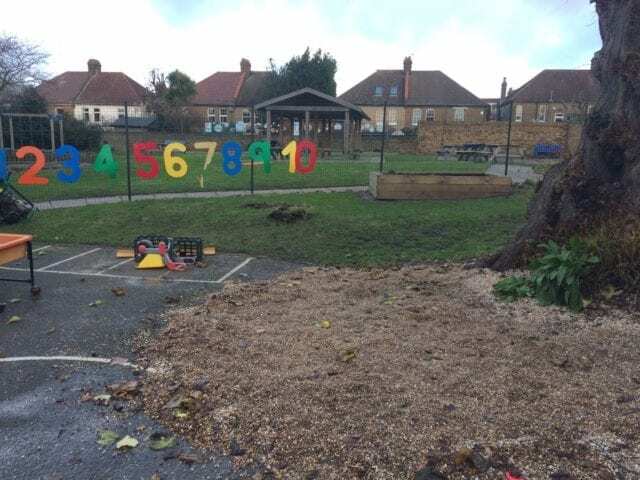 Where there was leftover earth from digging out the ground, this has been used to fill in the some of the top root area so that it is less of a hazard to the children.